Having a guitar and an amplifier is just part of getting a great guitar sound. While there’s nothing wrong with plugging a good guitar straight into a great amp, most guitarists augment their sound with effects pedals. Pedals don’t have to be effects, either; a great tuner pedal is indispensable on a gig or a jam session and doesn’t ater your sound at all. Effects can range from subtle to extreme and everywhere in between, so a little guidance can be helpful when you’re just starting out. Here are ten best guitar pedals that will help you find that sound you’re chasing after in your head. 3) Pro Co Rat Incredibly versatile distortion pedal. 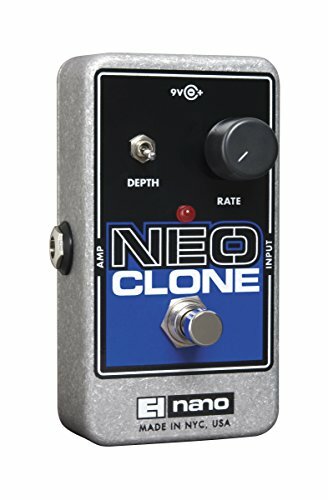 8) Electro-Harmonix Neo Clone Set rate and depth and start laying! The very first pedal in any chain should be a good tuner. The TC Electric Polytune 2 is the second version of their ground-breaking Polytune, which allows you to play all six strings and tune them simultaneously. This saves time between songs, when you may only have a few seconds to check your tuning. 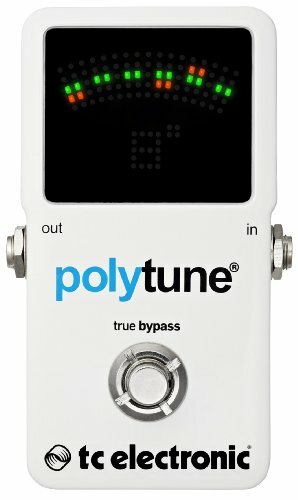 The Polytune 2 is even faster with a brighter display than the original. They’ve also added a strobe mode, for when you need the ultimate in tuning precision. This is one of the best tuners out there, full stop. 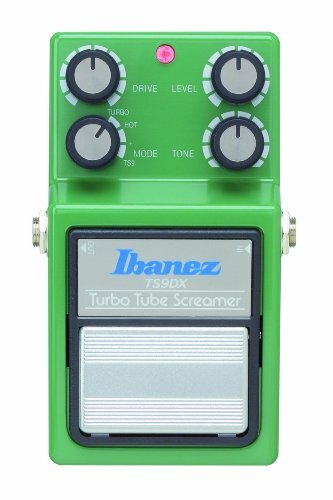 The Ibanez Tube Screamer has been a pedal board staple since its release thanks to its warm, natural overdrive. This is not an in-your-face effect, but It’s great for pushing a tube amp into overdrive or for tightening up the low-end response of an already driven amp. The trio of knobs are powerful enough to make this deceptively simple pedal extremely versatile. No matter if you’re playing through a small Fender combo for blues or a roaring full stack for thrash metal, a Tube Screamer deserves a place in your signal chain. 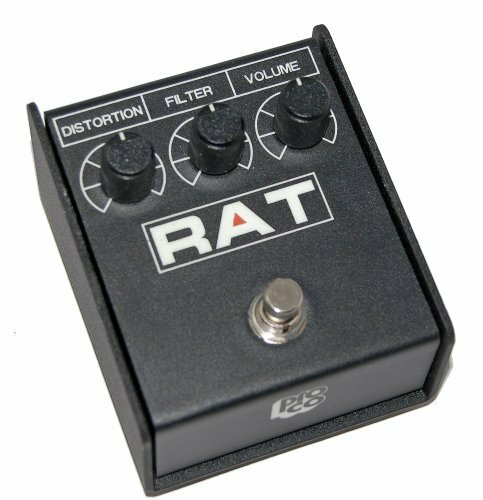 This is a distortion classic that, despite the mere three knobs, can produce tones ranging from mild overdrive, through crunchy, classic distortion, all the way into hairy, raging fuzz. The rugged, black metal case is unique and instantly identifiable and will take decades of abuse. 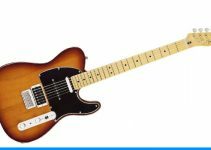 James Hetfield used one, and so did Joe Walsh. Sonically, it starts around the same place a Tube Screamer leaves off and keeps going until your speakers are stripping the paint form the walls and the house is shaking on its foundations. If you need a single, powerful distortion pedal that can cover all of the ground you’ll ever need covered, this is it. The original Fender reverb tanks were big outboard units, almost the size of an amp head. They used springs for the reverb sound and sat in front of your amp, driving it with an onboard tube preamp. All of this added up to a captivating and distinct sound, and one that is markedly different than modern, on-board reverb units typical of modern amps. 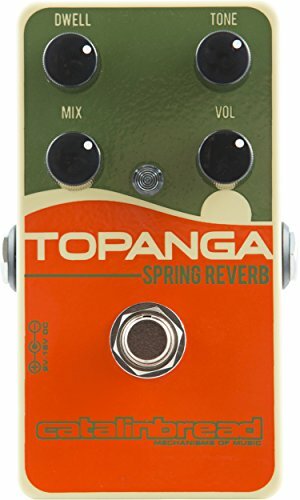 Catalinbread crammed all of that splashy spring sound and tube drive into a single pedal and called it the Topanga, after a canyon on the California coast. Put this pedal in front of your amp and dig in with your pick to get the huge, colored, drenched reverb tones that surf rock and spaghetti westerns were known for without shelling out the big bucks for a vintage unit. The wah pedal is one of the most expressive tools at a guitarists disposal, and almost every major guitar hero has used one, from Jimi Hendrix to Jerry Cantrell to Slash to Steve Vai. 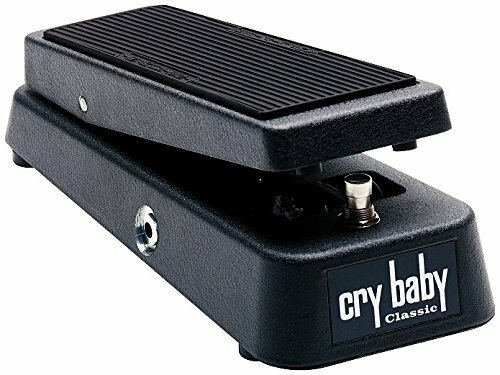 The Dunlop Cry Baby Classic uses an old-school red Fasel inductor to produce a wide, throaty sound that’s just as suite to the blues as it is to funk and the heaviest of rock and metal. This is the kind of pedal you can get addicted to and it’s great for spicing up melodies, solos, and thick chords. Try sweeping the pedal in time with the music for a pulsing sound, or sweep it slowly as you play, letting the energy build. A popular trick is to leave a wah “half cocked” at one of the sweet spots that gives maximum aggression. This is one of the most popular analog delays in the world, and for good reason. 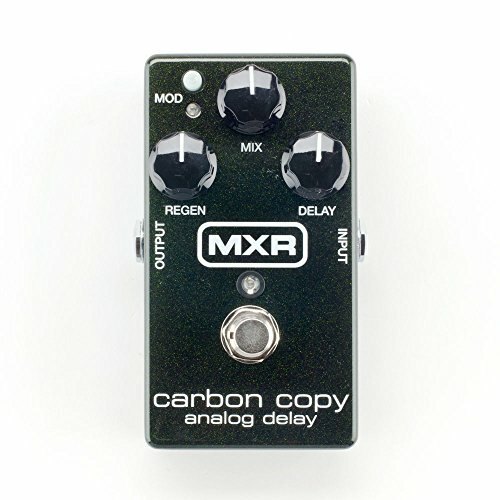 The MXR Carbon Copy features switchable modulation controls that emulate the warble of an old tape echo unit. You get up to 600ms of delay, meaning you can dial in rockabilly slapback all the way to epic echoes that give tons of space and ambiance to your guitar. Use it to add dimension to solos or build riffs rhythmically by playing off of the repeats. You can be subtle and reserved, or twist the “regen” knob all the way up and make the pedal self-oscillate for some hellacious sonic chaos. The rugged metal casing means the Carbon Copy will happily take years of stomping abuse. 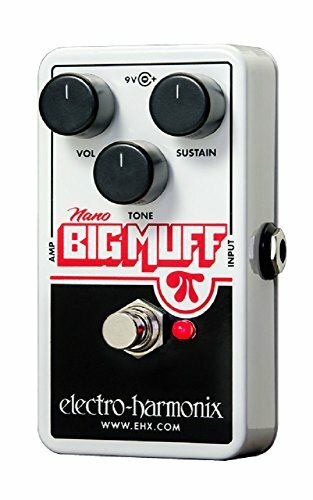 For many, the original Electro-Harmonix Big Muff is the ultimate in fuzz. This Nano version fits all of the classic Big Muff roar and sustain in a box the fraction of the size. The Big Muff has been the key to the iconic sounds of indie guitarists like Dinosaur Jr.’s J. Mascis for decades, and the countless clones being produced are a testament to the enduring sound of the original. Unlike the original, however, this version fits in the palm of your hand and leaves room on your pedal board for more toys. A good chorus pedal adds shimmer and dimension to a clean guitar sound and can make a dirty sound swirl and sway hypnotically. The Electro-Harmonix Small Clone was the choice of Kurt Cobain for songs like “Come as You Are.” The newer, Neo Clone has all the same sound and circuitry, but in a smaller footprint that’s more friendly towards pedal board design and is compatible with typical modern power supplies. The simple controls mean you don’t have to spend hours dialing in your sound; just select the depth and the rate and start playing. A graphic EQ is one of the most powerful tone-shaping tools there is, no matter the instrument or the application. 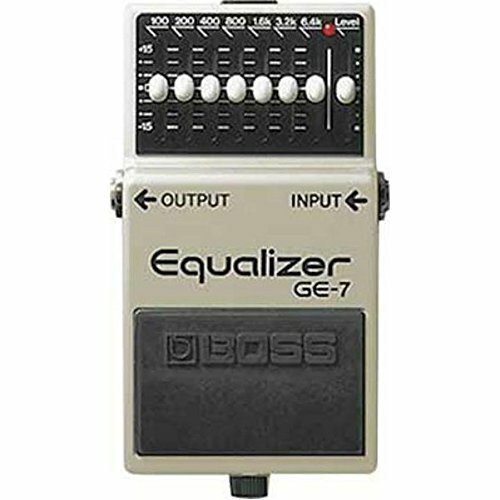 The Boss GE-7 gives you seven bands of EQ to play with as well as an output slider that lets you dial in the exact amount of boost or cut you need. This is a tremendously versatile pedal that can be used as a lead boost or for special effects like a lo-fi “telephone” sound. 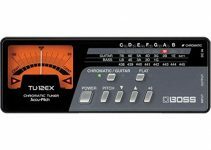 You can also use it to fine-tune your sound to fit whatever room you’re playing in or to give your amp exactly the right boost at the right frequencies in the preamp to really make your guitar sound your own. 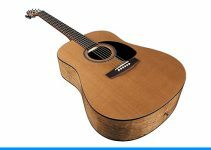 There are a lot of reasons that you might need a little more volume: you might be switching between guitars that have different outputs, your singing might play an acoustic on one song, or you might just need a little more punch. 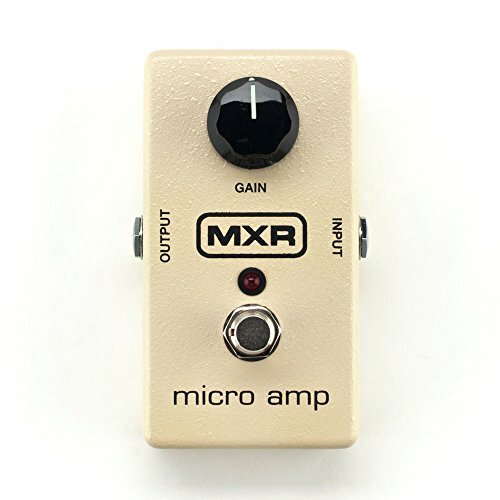 You don’t always want the volume boost to change your tone, though, and that’s where the MXR Micro Amp comes into play. One knob makes it dead simple and the available +26dB of clean gain boost means you’ll never have to struggle to be heard.